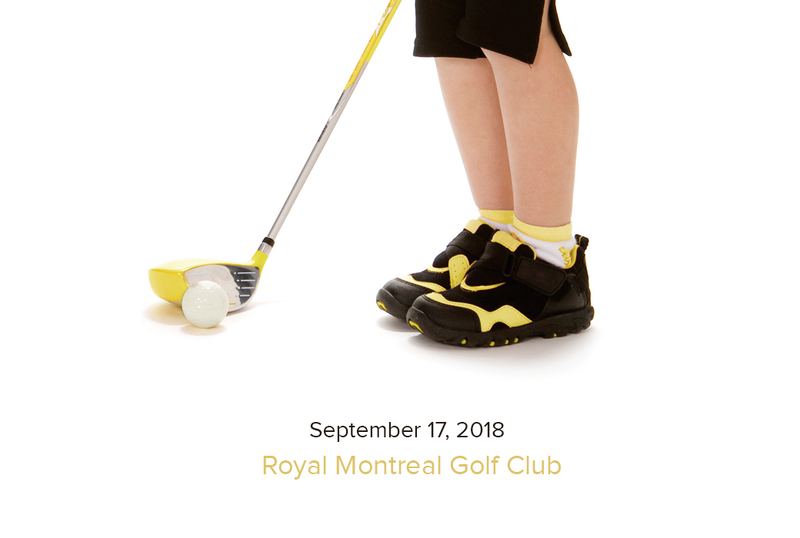 The 22nd edition of the Montreal Children's Hospital Foundation Golf Tournament will be held on Monday, September 17, 2018 at the Royal Montreal Golf Club. Proceeds from the tournament will go to fellowships in pediatric surgical subspecialties – cornerstones of experiential learning at a teaching hospital – that give the Children’s patients access to an international pool of extraordinary medical talent. To learn more about the event, please contact Alessia Di Giorgio - 514-934-4846 ext 29237. Win a pair of tickets for the 2018-2019 season! This year, a lucky winner will go home with a pair of tickets for the hockey season. Raffle tickets cost $100 each and a maximum of 1 000 tickets will be sold. You can purchase raffle tickets even if you do not attend the Golf Tournament. Thank you to Pembroke, our raffle sponsor! Since 1997, funds raised by the Montreal Children’s Hospital Foundation Golf Tournament have supported a host of projects like those listed below, that have helped attract and retain expert talent at the Children’s, and transformed care for young patients. In 1997, the late Hugh G. Hallward co-founded the MCHF Golf Tournament to support excellence in pediatric care at the Children’s by raising money to help attract and retain the best and brightest medical talent. To honour and continue Hugh’s tradition of supporting outstanding medical professionals, the organizing committee of the MCHF Golf Tournament has chosen to create the Hugh Hallward Chair in Pediatric Surgical Research in 2015. The Hugh G. Hallward Chair provides key resources that wouldn’t otherwise be available, from grant writing to technical support, to conduct research with the potential to be used in a clinical setting quickly and effectively, within a generation. Like its namesake, this endowed Chair is dedicated to medical education in child health. Situated academically within the Department of Pediatrics, with a cross-appointment in Education, the chair will be held by an individual with a scholarly background in education who would apply their expertise to advance the education of health professionals as it relates to child health. Spheres of involvement include; curriculum development, the systematic evaluation of the impact of educational approaches and innovation, continuing education, the application of novel technologies to education, and knowledge translation. Held by one of Canada’s top cardiovascular surgeons, Dr. Christo Tchervenkov, the Tony Dobell Chair has given the Children’s the expertise to treat the most complex of heart problems in even the tiniest of patients. Dr. Tchervenkov has performed countless lifesaving open heart surgeries, frequently on premature newborns. He treated Vincent Lambert who, after 10 months on a mechanical heart, received a transplant and recovered in record time. Funds raised by the Tournament have allowed the Children’s to offer a surgical fellowship, drawing young and outstanding talent to the Hospital. A former beneficiary of a MCHF Golf Tournament-funded fellowship is Dr. Mirko Gilardino. Since completing his fellowship at The Children’s Hospital of Philadelphia, Dr. Gilardino returned to Montreal where he is Director of Craniofacial Surgery at the Children's. His expertise in this field is sought after far and wide and has positioned the hospital as a leader in craniofacial treatment. Remaining at the forefront of the latest medical advancements in specialized care means exchanging expertise with other global pioneers in the fields. Funds from the MCHF Golf Tournament were used to establish a visiting lectureship series, bringing leading surgeons from across the continent to visit the Children’s and share their knowledge. Specialists from Harvard Medical School, the University of California, San Francisco, and Toronto’s SickKids Hospital are among those who have shared their talent with our staff. A renowned neurosurgeon in his field, Dr. Jean-Pierre Farmer is a true crusader for The Children’s. Under his leadership, The Children’s acquired Canada’s first pediatric Intra-Operative MRI, used during brain surgery to allow surgeons to better identify tumours and reduce the risk of multiple brain surgeries for young patients who often face the worst. Dr. Farmer currently holds the Dorothy Williams Chair in Pediatric Surgery, a chair established through Golf Tournament funding. This chair ensures that Dr. Farmer has the resources to continue to innovate for the benefit of our young patients.